Often a new garden originates from a magazine photo, or perhaps a neighbour just had the landscapers in, and suddenly your attention is drawn to your current outdoor environment. If it leaves a lot to be desired, then a redesign is in order, and that isn’t half as complicated as you think. There’s something about landscaping, while the end product is always nice, and it involves moving, digging, planting, and raking, people have no idea where to start, and are somewhat reluctant to start to move earth, cut down trees, and rip up lawns, in fear of it turning into a muddy building site, and eventually having to call in someone to fix it. If you’re going for a revamp, first look at what you already have, in terms of garden assets, a lawn perhaps, plants and shrubs you want to keep. Throw nothing away, as recycling is big in the landscaping industry, and its eco-friendly too. The first thing to draw your attention should be the trees on the property. Some might need to be removed, while many will require pruning or lopping. If you have to remove some trees in order to make that dream garden happen, then you’ll need the help of professional tree surgeons. You might be creating a garden on your own, but tree work is not for the handyman, as the risks of personal injury and damage to property are high. Talk to Beaver Tree Services about the possibility of tree removal. 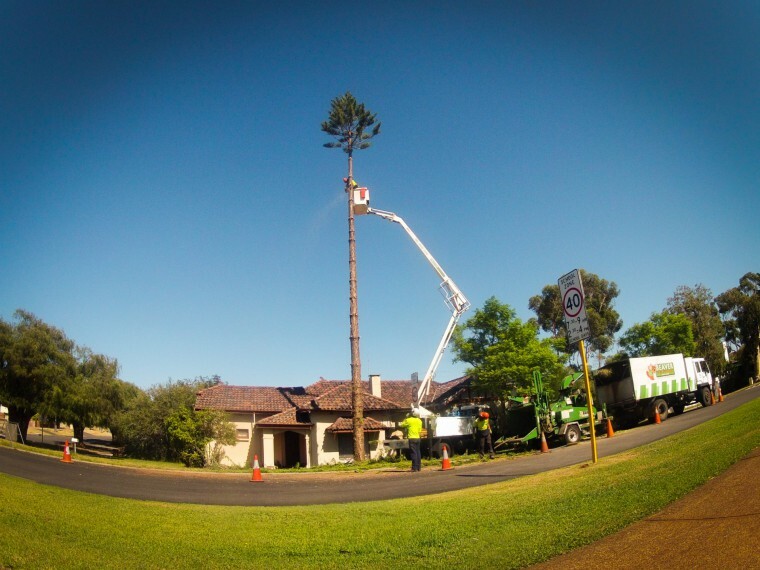 You may have some palm trees that are not exactly in the plan, and a tree surgeon would be experienced in palm tree removal. Tree stumps are easily dealt with today, by using stump grinders, which effectively mulch the stump (and the roots) into wood chips, which are then removed, allowing you to incorporate that area in your new design. If your garden is sloping, multi levels are easy to construct, and form a natural pathway that goes with the landscape. Even a flat plot of land can be tiered, by moving soil around. If you were to have a pond for example, the excavated soil can be used to build up an area, which adds some dimension to the garden. Planning drives and pathways ensures you have access to the areas that are used frequently, and with the right layout, a walk round the garden will encompass all of the highlights. Concrete is an ideal material for driveways, as it is durable and easy to keep clean. There is a range of textures and finishes that include stencilled designs, and with aggregate concrete, you add some extra texture to the garden. While we want our garden to look nice, you also require a level of functionality, so make sure you have power points and water pipes extended to where they might be needed in the future. Landscaping your own garden isn’t hard, if you know what you want, and do a bit of research. However tree services should be left to the experts. Other than that, you should be able to create an ideal living area that complements your home.